The groundbreaking scientific photographs of Australian Museum curator Gerard Krefft and taxidermist Henry Barnes are revealed for the first time. In the mid-nineteenth century, scientists around the world were quick to see photography’s huge potential for capturing fleeting moments of life, death and discovery. At the Australian Museum, curator Gerard Krefft and taxidermist Henry Barnes began to experiment with the revolutionary new art form, preparing and staging their specimens — from whales and giant sunfish to lifelike lyre bird scenes and fossils — and documenting them in thousands of arresting images. 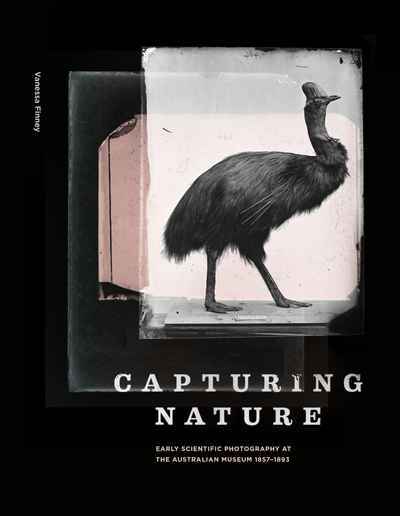 Capturing Nature reveals these groundbreaking photographs for the first time, along with the Australian Museum’s urgent quest to become more scientific in its practices.